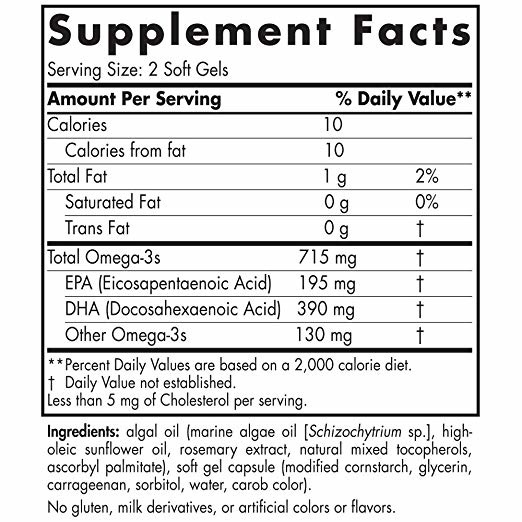 VEGETARIAN/VEGAN OMEGA-3 SUPPLEMENT - Many assume that omega-3s have to come from fish oil, but that is not the case. 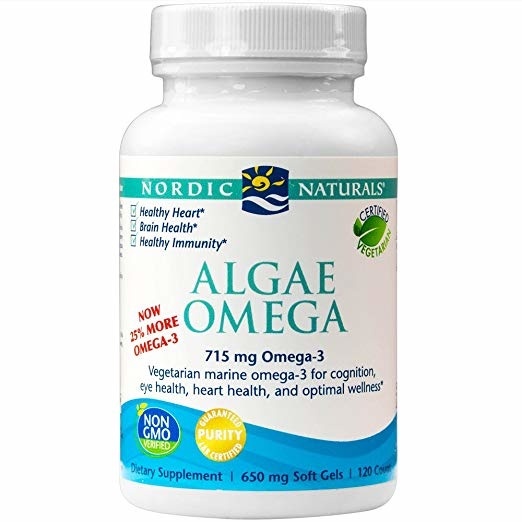 Nordic Naturals Algae Omega is the ideal vegetarian omega-3 supplement: it is certified vegetarian by the American Vegetarian Association, and it is also suitable for vegans. 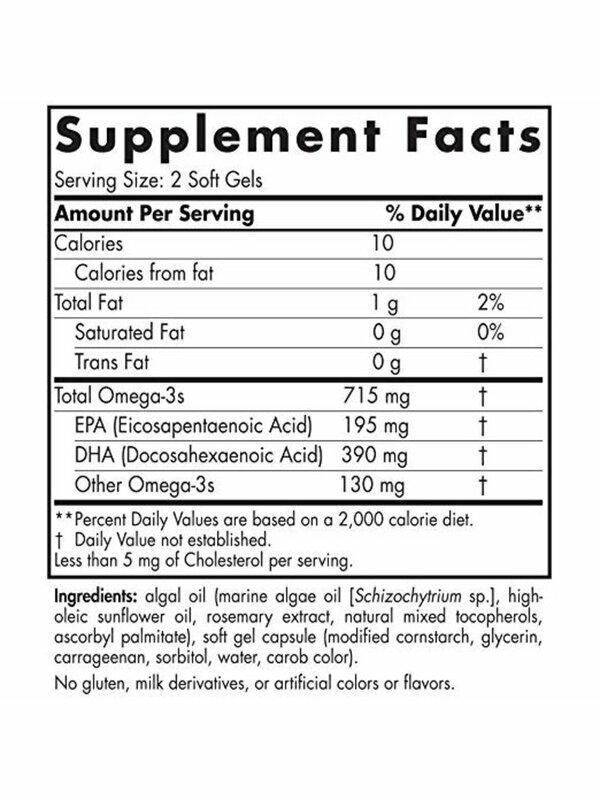 It is made from microalgae, the original source of marine omega-3s. 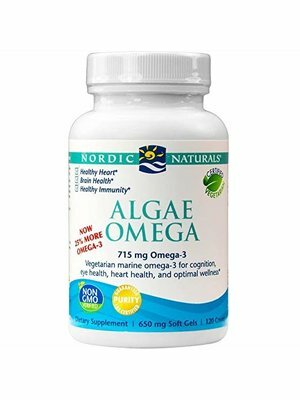 UNIQUE COMBINATION OF ALGAE OMEGAS - Microalgae offers a source of vegetarian EPA and DHA supplements without the use of fish. Nordic Naturals Algae Omega is one of very few marine algae oils with significant amounts of EPA. 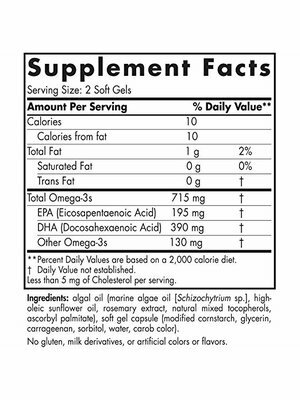 While most algae oils are short on EPA, Algae Omega's unique combination of EPA and DHA is a pure, safe, and effective source of both of these essential fatty acids. NON-GMO VERIFIED - Nordic Naturals has always been at the forefront of sustainable and ethical practices in the natural products industry. Since our founding, we have been committed to using only non-GMO ingredients. Algae Omega is also hexane free, gluten free, and dairy free, with no artificial colors or preservatives. We use sustainably sourced, natural ingredients to create supplements with all the things you need and no fillers.